Being the cynic that I am, I think Obama finally caved on the birth certificate issue to cover up this major piece of bad news. CNBC: In his first regular news conference, Federal Reserve Chairman Ben Bernanke said the central bank was continuing its stimulus policy because it was projecting slower growth in the economy with only a modest uptick in inflation. The Fed cut its growth estimate for 2011 to between 3.1 percent and 3.3 percent from a January forecast of 3.4 percent to 3.9 percent. The Fed also raised its estimate of inflation this year to a range of 2.1 percent to 2.8 percent, taking into account a recent surge in oil prices. However, it bumped its core inflation forecasts only marginally to a 1.3 percent to 1.6 percent range. So basically we can look forward to unemployment staying at these level and finally the Fed admits to what we have long known, inflation is here. Bernanke did not take responsibility for fueling inflation with Quantitative Easing (Q.E. 1 & 2). Bernanke said the Fed would continue with bond buying (buying our own debt). The statement marked the conclusion — at least for now — of the massive expansion of the Fed's balance sheet that helped pull the economy out of its deep recession. "On policy, the statement confirms that (the bond buying) is over but otherwise leaves everything on the table subject to regular review 'in light of incoming information,'" said Stephen Stanley, chief economist at Pierpont Securities. Still, the central bank said it would continue to reinvest proceeds from maturing securities it holds to keep its economic support in place, ensuring it would remain a big buyer in debt markets. Search across the net and you will have to do some digging to find any real discussion on this matter, even though Bernanke's first press conference was getting a lot of attention days before. You can thanks the birthers and Trump for moving this story to the back pages. Too bad, because this is the real type of issue that will defeat Obama in 2012. Below are videos from Bernanke's Q and A. Well, here is the much talked about and anxiously awaited long form birth certificate. Will this end the birther theory? Heck no. Why? Because conspiracy theories never die. The time to have killed the birther theory was two years ago when the issue started to percolate. One of the main reasons why the birther theory will live on, is because there really is no good answer to the very simple question "what took so long"? Based on that alone, birthers will look for all kinds of new evidence. Already, there is a "layer theory" forming. I think Obama kept the birther issue going on for so long, is because it was politically advantageous to him. He, with the help of the media, was able to discredit anyone who asked questions about the birth certificate. Had the media simply been curious as to why Obama wouldn't do a simple thing like releasing the document, the nation might have been spared the whole birther thing and the rise of Donald Trump. Speaking of Trump, I do fear that the release will put more wind in his sails. Already Trump has now started asking for college records. Some folks on the right, be they birthers or not, might get a little awestruck, because Trump stood his ground against the naysayers. As a result Trump effectively got Obama to do someone no one else could get him to do. To those folks I say; admire Trump's tenacity, but understand fully that Trump is not a conservative. Supporting Trump is at best supporting a eclectic bag of principles or at worst is supporting a complete poser. Buyer beware. "I will not be a candidate for president next year. This has been a difficult, personal decision, and I am very grateful to my family for their total support of my going forward, had that been what I decided. "Hundreds of people have encouraged me to run and offered both to give and raise money for a presidential campaign. Many volunteers have organized events in support of my pursuing the race. Some have dedicated virtually full time to setting up preliminary organizations in critical, early states and to helping plan what has been several months of intensive activity. "I greatly appreciate each and every one of them and all their outstanding efforts. If I have disappointed any of them in this decision, I sincerely regret it. "A candidate for president today is embracing a ten-year commitment to an all-consuming effort, to the virtual exclusion of all else. His (or her) supporters expect and deserve no less than absolute fire in the belly from their candidate. I cannot offer that with certainty, and total certainty is required. "This decision means I will continue my job as Governor of Mississippi, my role in the Republican Governors Association and my efforts to elect a new Republican president in 2012, as the stakes for the nation require that effort to be successful." Well that has to be the most sensible thing I have seen from all the establishment hopefuls. Other than party insiders, did anyone else ever get excited over the idea of "President Barbour"? 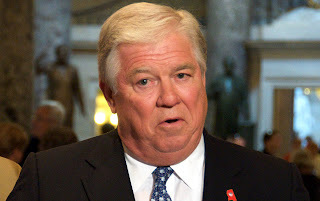 Haley Barbour seemed best suited for elections past rather than the new political environment of today. Especially now that much of the conservative base have become activists, old school candidates like Barbour seem terribly obsolete. The current setting favors more dynamic candidates like West, Palin, Cain, Rubio or Bachmann. Allahpundit at Hot Air thinks that Barbour took a dive to clear the way for his good buddy wimpy Mitch Daniels. There’s a new story at WaPo this morning about the Daniels’s presidential Hamlet act in which he describes his thinking at this point as “muddled.” Barbour dropping out will help clarify things a bit since, if Daniels does run, he’s now practically guaranteed Barbour’s endorsement and fundraising help. Barbour might not make it to the White House on his own, but if he joins forces with Mitch the Knife, he could get there as VP, chief of staff, or in any number of other roles. He’s a bottom-line kind of guy, and that’d be a shrewd bottom-line calculation. Now all Daniels has to do is play ball. Whatever the case maybe, we should be grateful that there will be one less obsolete establishment candidate in the mix. 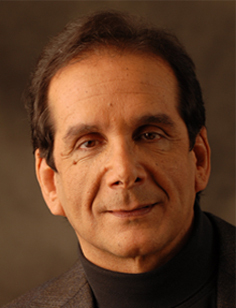 I like Charles Krauthammer. On almost any given issue, his voice is one of the first I seek out. However, when it comes to picking candidates, I find that poor Dr. K suffers badly from Establishmentus Elitetitus. The poor Doctor seems to have a major affection for establishment weaklings. Just look at his early handicapping of the 2012 GOP field. Krauthammer picks the dullest losers as "major candidates". Mitt Romney: Serious guy. Pre-vetted (2008). Tons of private- and public-sector executive experience. If not for one thing, he'd be the prohibitive front-runner. Unfortunately, the one thing is a big thing: Massachusetts' Romneycare. For an election in which the main issue is excessive government (see Axiom One), that's a huge liability. Every sentient Republican has been trying to figure out how to explain it away. I've heard no reports of any success. Romney is Secretariat at Belmont, but ridden by Minnesota Fats. He goes out at 5-1. Haley Barbour: Successful governor. Experienced Washington hand. Abundant charm. Baggage: Years of lobbying, unforced errors on civil rights, early isolationist deviations. Rarely without a comeback, however. 7-1. Mitch Daniels: Highly successful governor. Budget guru. Delightful dullness satisfies all axioms (see above). Foreign policy unknown, assuming he has one. Alienated some conservatives with his call for a truce on social issues. If he runs, 6-1. Dr. K even writes off Michele Bachmann as a long shot, says Palin isn't running and makes no mention of Herman Cain. He places Chris Christie in the less likely category, even when Christie will probably be on every establishment candidate's VP short list. Just about the only thing Dr. K gets right is calling out Donald Trump. If I were Dr. K, I would have called Gingrich, Barbour and Pawlenty long shots. Gringrich has hopelessly beclowned himself before the action started. Barbour is constantly involved in one racial flap after another and Pawlenty could not get noticed even if he set himself on fire in the middle of Mall of America on Christmas Eve. I would have also added Jon Huntsman to the major player category. Huntsman is the perfect Romney clone minus the RomneyCare baggage and given the trouble Romney is having with that issue, Huntman looks better and better by the minute. I would have also placed Bachmann and Palin in the major candidates category. For both of them, the enthusiasm of their supporters is off the chain and that translates into real traction. Dr. K is right to label Marco Rubio, Nikki Haley and Paul Ryan as 2016 material, but why didn't he mention Rand Paul and Allen West? Both of them are on fire and will be major player come 2016 and beyond. I cannot wait for the primaries to finally get underway so that these old guard establishment types will finally see that the old play book doesn't work anymore. Say what? Franklin Graham thinks Trump might be The One? ABC News: The Rev. Franklin Graham, whose family has served as spiritual advisers to numerous prominent political figures, told "This Week" anchor Christiane Amanpour that businessman Donald Trump might be his candidate of choice in 2012 and that he does not think former Alaska Gov. Sarah Palin will run for president. "Donald Trump, when I first saw that he was getting in, I thought, well, this has got to be a joke," said Graham. "But the more you listen to him, the more you say to yourself, you know, maybe this guy's right." "So, he might be your candidate of choice?" Amanpour asked. I said in my last post on Trump that the time for him to make an exit was rapidly approaching. After these comments by Graham, I would say that time is now over due. The 2012 election is going to be one of the all time defining elections of this nation. We will decide whether or not America becomes another broke also-ran European style democratic socialist backwater or we begin the hard work of clawing our way back to being exceptional. Given such stakes we cannot afford to waste our time on non serious candidates. At best Trump is another 11th hour convert to conservatism, at worst the man is a complete poser using the conservative tide to ride into the White House. Either way, he is completely ill suited for the tough work ahead. Tons of donations to Democrats. Built his empire on eminent domain. These are just a few issues of concern. There are even bigger ones such as his changed views on abortion. Add on Trump's zany ideas on dealing with foreign nations, and Republicans should look the other way when Trump enters a room. Simply liking Trump's tough talk about Obama and his fearless embrace of the birther issue, is not enough to base a decision on. There is far too much at stake in the years ahead for that. Instead, people should take the time to really learn who Trump is and what he has done in the past. That would give them an honest glimpse into what he would be like as president. The Hill: "I don't happen to support Congressman Ryan's plan but at least he had the courage to put forth a plan to significantly reduce the debt," Collins said on "In the Arena" a program on WCSH 6, a local NBC affiliate in Portland, Maine. Collins, who is one of several centrists in the Senate Republican Caucus, did not say specifically what she opposed in the House GOP plan, but she did say that she would like to begin moving the government towards solvency by eliminating ethanol and farm subsidies as well as funding for an extra engine for the F-35 fighter jet. "There are lots of opportunities to consolidate and save money," Collins said. Wonderful, she rejects a serious plan to cut spending in favor of chasing pennies. You can always count on RINOs to gum up the works when you need their vote the most. I firmly believe that it would be far better to lose an election to a Democrat than to continue electing these unprincipled and unreliable so called "Republicans". From 2012 forward, conservatives should make it their business to primary each and every RINO until we are finally rid of the scourge! CBS News: Despite Obama administration warnings that failing to do so would devastate the economy, a clear majority of Americans say they oppose raising the debt limit, a new CBS News/New York Times poll shows. If you think those numbers are pretty astounding, consider that Ed Morrissey at Hot Air finds that the polling data has been weighted towards the Democrat's favor! With numbers like this, I cannot for the life of me understand why Republicans were so damn quick to capitulate on raising the debt limit. 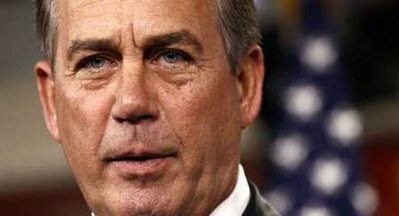 I have always contended that on November 4, 2010 John Boehner should have stated in no uncertain terms that Republicans would not vote to raise the debt limit and that Democrats should immediately get to work on finding programs to cut. Instead, Boehner allowed Democrats to create a story of doom and gloom if the debt limit was not raised. From the looks of this poll, it seems like only the GOP leadership was scared by the Democrats' story. Not raising the debt limit doesn't mean we automatically default on our obligations. America takes in $7 billion a day in revenue and can pay its debts with that. Politicians and unwilling to do this because it would mean that they would have to confront their bad spending habits now rather than later. This is because we would be forced to live within our means, prioritize our spending and make real cuts immediately. The ugly truth is that there simply isn't enough testicular fortitude in Washington today to undertake such adult action. For some additional reading, check out Senator Pat Toomey's Op Ed at Real Clear Politics. Toomey points out that should the US default on its debts, the blame must be laid at the feet of Turbo Tax Cheat Timmy Geithner. The New York Times: Americans are more pessimistic about the nation’s economic outlook and overall direction than they have been at any time since President Obama’s first two months in office, when the country was still officially ensnared in the Great Recession, according to the latest New York Times/CBS News poll. Amid rising gas prices, stubborn unemployment and a cacophonous debate in Washington over the federal government’s ability to meet its future obligations, the poll presents stark evidence that the slow, if unsteady, gains in public confidence earlier this year that a recovery was under way are now all but gone. Click here to see the devastatingly bad numbers in the poll. The only thing anyone should find surprising about this poll is that it comes from the New York Times and CBS News, two organizations that are well known for carrying Obama's water. What is not surprising is the nation's sour mood. Two years ago, Obama and the Democrats were elected on the promise of Hope and Change. They were suppose to usher in a new dawn in America after Republicans abandoned their core principles and failed miserably. Two years later all of American's core concerns have gone unanswered. It is almost as though Washington, in its new bloated form, is tending to what is best for Washington and screw the people who they are suppose to represent. On crucial issue after crucial issue Obama has voted present. The economy - no action. The wars - no action. For all the nation's crucial issues, Obama's answer is always the same, form a committee, summit or task force to get the issue off the front burner. Republicans have not been much of a success either. For two years, they promised to adhere to the will of the people and force a sharp course correction. After a landslide election in November, only a handful of these Republicans seem willing to keep those promises. The rest, lead by the GOP leadership, seems to want to go back to same old ways of doing business. Basically, compromising with Democrats on bad ideas and then coming away with less than half a loaf. What America sorely needs is a leader. A leader who understands the priorities and needs of the electorate and will then do the hard work needed to turn things around. 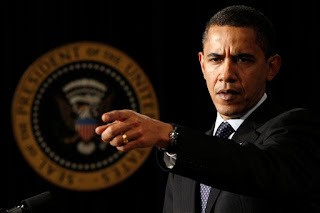 Anyone, who can step forward from the left, right or center who address the nations concerns with a true vision while showing some real competence will probably find him or herself in the White House come January 2013. I loved this contentious interview because both Trump and Stephanopoulus take a beating. Kudos, to Stephanopoulos for pressing hard to smoke out the lack of details behind Trumps' tough talk (e.g. dealing with OPEC and his investigators in Hawaii). Kudos to Trump for smacking Stephanopoulus around even when Stephanopoulus was getting the better of him. Trump's 15 minutes of extra fame has been quite entertaining. He has given conservatives something we have been longing for for the last 2+ years and that is a strong and direct assault on Obama. As entertaining and to some degree stratifying as it has been, the time for Trump to exit the stage is rapidly approaching. I say this because so many of Trump's positions seem almost like the caricature the left paints of the right rather than any principled conservative position (e.g. taking Iraq's oil). So long as Trump stays on stage, he helps to reinforce the left's negative narrative of conservatives and Republicans. The last thing Republicans need is to have this image stick in 2012. Furthermore, I do fear some Republicans might actually think Trump would be a suitable candidate for 2012 and given the seriousness of this election, Trump simply isn't suitable for the task. 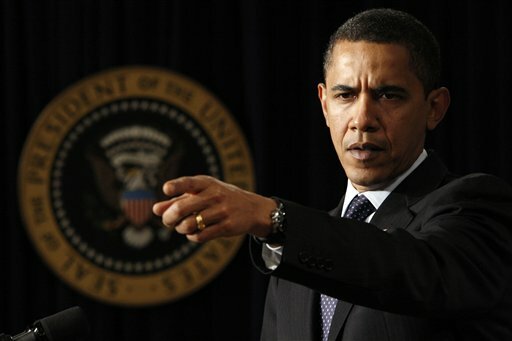 WAFF: After the interview, Obama pointed out that he doesn't like an interviewer challenging his comments. "Let me finish my answers the next time we do an interview, all right?" he said. WAAAAHH! What a crybaby. Obama could never cut it as a Republican, where the media always interrupts, misconstrue your words and try their damnedest to paint you as an idiot or a villain. Obama has own quite accustomed to the royal red carpet treatment from the media. With precious few exceptions, the media never calls out Obama on his obvious flip-flops, lies or distortions. They rarely ask follow up questions to Obama's sloppy long winded answers. However as far as Obama getting a real media grilling goes, Bret Baier is still the all time champ in my eyes. Anyone who may have thought that Sarah Palin was becoming yesterday's news as Donald Trump ascends in the polls, think again. Palin's Madison, Wisconsin TEA Party speech proves once again that not only does she "get it", she is not afraid to go anywhere to deliver it. Unlike Donald Trump, who broadsides Obama on everything including the birther issue, Palin focuses her attacks where Obama is most weak ... his record. However, in this speech Palin doesn't just call out Obama for his fiscal foolishness, she also calls out weak and compromise-happy Republicans. Palin understands that weak Republican leadership is every bit a s detrimental to America's future as is another term of Obama. The closing of Palin's speech sounds very much like an unofficial announcement for her candidacy. A candidacy that will be driven by the voice of We The People. It starts here! It starts now! What better place than the state that hosts the Super Bowl champs to call out the liberal left and let them know: Mr. President, game on! 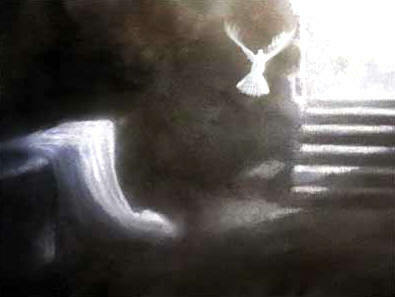 I have always believed and still believe that Sarah Palin is our best (and quite possibly only) hope for 2012. While conservatives are being swayed by early polls and media narratives that Palin cannot win, certain realities makes it quite clear that Palin is the one. I have told you all that first and foremost the 2012 GOP candidate must be a rock solid fiscal conservative. Palin has proven this time and time again. Second, and maybe most importantly, our candidate must be a real fighter. Our candidate must not just fight Obama, his media minions and the radical far left, our candidate must also carry that fighting spirit into the presidency. Once president, our candidate will face a Congress (both left and right) that is set in their ways and is invested in maintaining the status quo. We need only look at Boehner's sorry spending cut compromise to understand why a true fighter is needed. Without someone in the White House who will battle for America without concern of reelection, America will be every bit as doomed as if Obama had won a second term. Palin's resignation shows that she is not tied to titles and power, but is instead interested in doing what is right. I do believe that as the 2012 GOP field rolls outs one lackluster campaign after another, Palin will continue to shine and once again prove to conservatives that she is The One. Looks like the sister in the background was nodding off too. What's up with the person behind Biden? They look like they are trying to hide something, texting perhaps? Biden, at one point, could be seen apparently nodding off -- or at least deep in thought. The bug was catching, too. The woman in glasses directly behind Biden appears to close her eyes too. Deep thought? Nope that is looks like plain old nodding off. The boyish looking man is sounding ten times more grown up than the president. Anyone want to be that Obama will not go face to face with Ryan on this issue? We are living in some very serious times. Our deficits and debts are dangerously threatening the stability of our nation and promises a diminished way of life for our children and grandchildren. Serious adult leadership is required to make the tough choices now to advert a certain catastrophe tomorrow. The speech Obama gave on his idea of deficit reduction was neither leadership, serious or adult. Instead Obama gave us typical Obama complete with empty rhetoric, contradictions and partisan campaign attacks. How anyone, left, right or center, can take this man seriously when it comes to this topic is beyond understanding. When Obama explains how we have reached these large deficits, he refuses to take any responsiblity for adding to it. Rather Obama paints his massive additions only in a positive light. Really? No mention of the $1 trillion health care reform we could not afford. No mention of the $800 billion + failed stimulus. No mention of the $3 trillion + budgets he submitted. No mention of his failure to demand a budget from the last Congress, controlled by his own party no less. Are you kidding me? Didn't this guy extend the Bush tax cuts when his own party still had control of Congress? If Obama even remotely believed any of this he would have led his party to rescind the Bush tax cuts for the wealthy, but instead he did what was politically expedient. Do lefties really still trust this guy on this subject? Obama's deficit plan to cut $4 trillion over 12 years is pure unicorn fantasy. How can he even project 12 years out when the CBO themselves admit that their best projections are iffy at 10 years? Half of the reductions about is talking about has already been shown that it will not materialize. The CBO has already said there will be no $1 trillion in savings from ObamaCare and Obama's 2012 budget clearly adds to deficits. This budget plan of Obama seems best suited for campaign talking points rather than a serious attempt at cutting out debt or reducing deficit spending. Republicans's failure to educate the public on how dire our fiscal situation is, has allowed Obama the ability to put forth this silly plan. Despite the Republican's failure, the question remain, does Obama have any credibility on fiscal matters to actually sell this plan? The poll await. Oh-oh, the Food Nazis strike again! 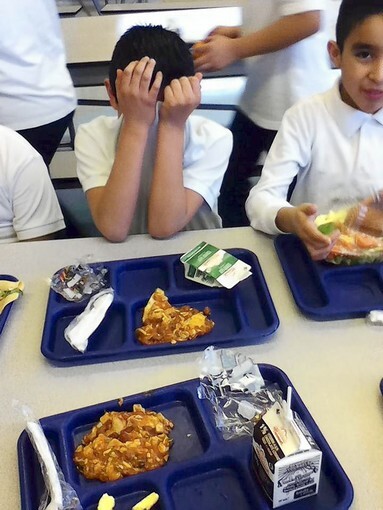 Chicago Tribune: At his public school, Little Village Academy on Chicago's West Side, students are not allowed to pack lunches from home. Unless they have a medical excuse, they must eat the food served in the cafeteria. Wow, so schools now know better than parents what constitutes healthy eating and they can fill their coffers at the same time. Back in the day, my parents would never ever let us eat a school lunch, because my parents did not trust the schools nutritional choices. My mother thought her choices were far superior. Had such a policy ever been instituted when I was in school, my parents would have taken the next day off from work to go down to the school to tell them they were taking me out of that school. Today's parents allow themselves to be bullied and steam rolled by control freakish principles and teachers. The other funny fact about this insane policy is that it is having the opposite effect of better nutritional choices. That would have been me for sure. As a kid, I was picky as hell when it came to eating. Only my parents could firm hands could make me eat icky things like eggs, vegetables (save peas and corn), hot cereal, milk, etc. No school worker could ever get me to eat anything I did not want. Realizing this, my parents were smart enough to send me to school with lunches that were nutritious and that they knew I would eat on my own. This policy is most likely all about raising more money. Unfortunately, it may also be the way of the future. For too long the public has stood silent against Food Nazis who insist upon telling us what is best for us. The Food Nazis new poster child Michelle Obama has been quite successful in selling the control message under the ruse of "it's for the children". 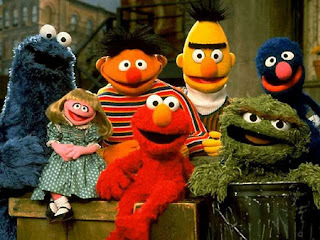 Mitt Romney launched his exploratory committee today. The Daily Caller is calling the roll out a let down. I think one reason why so many people are not excited is because we all knew there would be no way Romney would sit out 2012. Even with RomneyCare dogging him at every turn, Romney is going to take a shot because according to GOP custom, it is his turn. Speaking of RomneyCare, ABC News did not miss the opportunity to note that Romney's announcement coincides with the fifth anniversary of RomneyCare. ABC News: Romney's announcement comes just one day before the fifth anniversary of his signing of a health care law in Massachusetts that is similar to Obama administration-backed national health care reform act passed last year. Obama has recently been heaping praise on Romney for signing the Massachusetts legislation, and Romney has been firing back, saying that a one-size-fits-all approach on health care is wrong for the county. I still believe that Romney only has one way to win the nomination and that is if conservatives are unable to settle on a single candidate. Should conservatives scatter their votes between two or three conservative candidates, then Romney wins so long as the establishment doesn't anoint another wishy washy RINO. Get ready for the next big farce from the Obama administration. After submitting another $3 trillion + budget for 2012 and then haggling over a minuscule $38 billion in cuts, Obama is now ready to get "serious" debt reduction. The Hill: President Obama will give a speech this week that lays out his plan for handling the nation's fiscal management, White House senior advisor David Plouffe said Sunday. "Later this week the president is going to speak about his approach to long-term deficit reduction," Plouffe said on CNN's "State of the Union." "He's going to be clear about the type of deficit reduction we need in terms of dollar amounts, over what period of years," Plouffe said. Truth be told, all options will not be on the table. Obama's plan is going to be what it was always was meant to be ... raise taxes to pay for all the wild spending. Sure there will be some cuts here and there, but they won't even come close to anything Paul Ryan is talking about. Instead, Obama will do the socialist thing and try to soak the rich to pay for the gains in spending the Democrats have made. Plouffe said that Ryan's budget proposal had some good ideas in it, but that it put too much of the economic burden of debt reduction on economically vulnerable portions of the population. "Seniors, the poor, the middle class in the congressional Republican plan are asked to bear most of the burden," Plouffe said. "If you weren't giving enormous tax cuts to millionaires, you wouldn't have to do that." This plan will fail miserably, because the rich do not just sit around and wait to gorged like cash cows (case in point, G.E. 's amazing tax returns). So if the rich can dodge the bullet of higher taxes, who do you think will be the suckers ending up with the tab? Why the middle class of course. Wall Street Journal: President Barack Obama will lay out his plan for reducing the nation's deficit Wednesday, belatedly entering a fight over the nation's long-term financial future. But in addition to suggesting cuts—the current focus of debate—the White House looks set to aim its firepower on a more divisive topic: taxes. There are no new tricks in Obama's hat. All the man has are the same old tired lefty schemes from the 1970's. Obama will no doubt use class warfare to try to sell Americans on the idea that they can still have their cake and eat it too. This is where Republicans will rue the day they did not immediately start educating the America people on just how bad our financial picture is. Instead, Republicans squandered the time haggling with Democrats over puny cuts that are now being touted as "historic". Palin: "Well, I appreciate the The Donald wants to spend his resources in getting to the bottom of something that so interest him and so many Americans. You know, more power to him. He is not just throwing stones from the sidelines, he is digging in there, paying for researchers to find out why President Obama would have spent $2 million to not show his birth certificate". Palin is a smart cookie. She knows better than to allow herself to be painted as a birther, yet she is utilizing the opening Trump made cast suspicion on Obama's actions. Most of today's Republican candidates simply distance themselves from Trump and would never ever, think about capitalizing on the opening Trump has created. Should Trump ever make it to the debates, Republicans would be well advised not to cross him. Time and again Trump has shown that he likes to get into nasty public disputes. His battle with Rosy O'Donnell and his recent spat with New York Times columnist Gail Collins are just some examples. You can see all of Palin's interview with Judge Jeanine over at The Right Scoop. BBC: In a new effort to win hearts and minds in Pakistan, USAID - the development arm of the US government - is donating $20m (£12m) to the country to create a local Urdu version of the show. Holy crap! What a waste of money we don't have! When Boehner, Obama and Reid were squabbling over the puny "historic" cut they made and talking about hard decisions, I wonder how such an incredible waste of money go unnoticed? When I think about all the money that must have been made on Tickle Me Elmo dolls, I have to ask why in the world can't this project be privately funded? Do we really need to waste the money we are borrowing to fund stuff like this? It seems like the prevailing attitude in Washington is so long as money is flowing in, they will continue to spend regardless of where the money comes from. This is exactly why Washington has a spending problem and not a revenue problem. The best thing that could happen for America in 2012 would be to elect the cheapest tightwad we can find for President. Someone who would be outraged over $50 for bathroom tissue and veto every wasteful project in sight. Oh Lord, where is that man or woman? From what I have been reading, it appears that quite a few people are saying Speaker Boehner has won the budget showdown. They all point to the fact that the national conversation in Washington has changed from wild deficit spending to spending cuts (albeit tiny ones). This may all be true in the political sense, but in reality America still sits perilously close to an economic disaster. We are still spending hundreds of billions of dollars we do not have. The amount of money we are borrowing daily will soon eat up these cuts in no time flat. Yet, here are our so called "leaders" talking about "historic cuts". I think part of the problem in Washington today is that there aren't many who can take in the big picture. Too many lawmakers, pundits and the media class focus on the little skirmishes and daily back and forth without taking into account the effect on the nation as a whole. Paul Ryan's budget plan is the first attempt in a long time to bring the big picture in focus. Unfortunately after watching this shutdown showdown, I don't have a lot of faith in seeing anything close to Ryan's plan being acted upon. Shutdown Averted! Historic Spending Cuts?